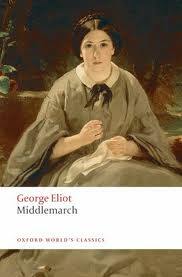 The first thing to consider is whether you want everyone in your group to use the same edition of Middlemarch. My own book club experience (as well as my classroom experience) has taught me that it can be frustrating trying to talk about a long book when people quite literally can’t get on the same page. Even if you think that this would be a good thing, it may prove impractical, as people may already own copies, or may prefer one version over another for their own reasons. However, because Middlemarch is divided into Books and then into chapters, it’s not that hard to find common reference points. It can also help a lot if people use some system of navigational aids, like post-it notes. The next question is whether you want to use a ‘popular’ or a scholarly edition. 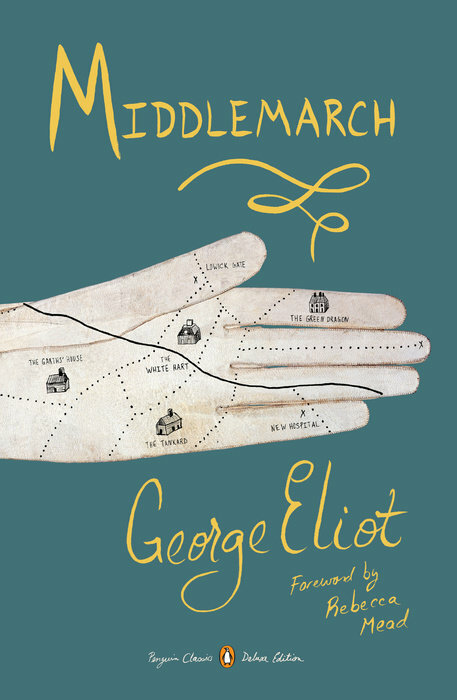 With a novel like Middlemarch, I think it’s a good idea to have a reliable, well-edited text with thorough annotations–not because you must consult them, but because you may want to. Scholarly editions not only include thoughtful introductions and explanatory footnotes (helpful for everything from literary allusions to historical contexts) but also point out changes made to the novel over its publishing history. One of the most interesting of these in Middlemarch is a tweak to the Finale that might spark some debate among the members of your book club, especially if you’ve talked along the way about how far Dorothea is responsible for her own bad choices. Penguin Classics: This is another fine, reliable edition, with a good introduction by Rosemary Ashton; it has the benefit of also being available as an e-book, which may be an advantage if some of your members use e-readers. Penguin Deluxe Classics: This new edition has the same text as the Penguin Classics edition but includes none of the notes, which may be a drawback for some purposes. The heavy paper and elegant font make it one of the nicest editions just to read and enjoy. It includes a user-friendly introduction by Rebecca Mead, author of My Life in Middlemarch. Norton Critical Edition: This edition is the most scholarly of the options, in that it conveniently packages a scrupulous edition of the novel with a selection of critical essays about it. If that’s the kind of thing your book club likes, this is the edition for you. If you doubt you’ll want to read the criticism, however, I recommend an edition with larger type! 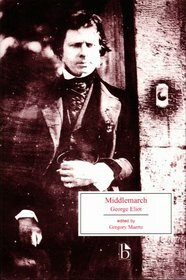 Broadview Press Edition: This handsome edition of Middlemarch is supplemented by contemporary reviews and documents (rather than the mostly 20th-century critical materials included in the Norton). It is annotated in great detail, with special attention paid to the role of the visual arts in the novel; it is the only one of these editions that includes pictures.The footnotes do occasionally almost overwhelm the novel itself. This edition is also available as an e-book. 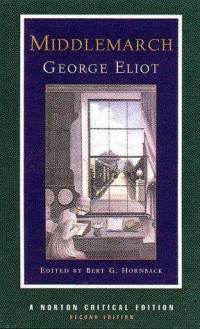 I’ve put links to some free electronic full-text editions of Middlemarch on the ‘Links‘ page. I don’t particularly recommend these for reading the whole novel, though of course you may find them fine for your purposes. The searchable e-texts are great, however, for finding lines you remember but forgot to mark with post-its! I haven’t read this since undergrad days many years ago, but feel inspired to revisit it – am in the process of choosing what to take on an extended holiday in the US, but it’s perhaps a bit bulky to travel with, & I don’t fancy using my Kindle for such a long text. I don’t belong to a book club, but will follow this blog with interest. Thanks for taking the trouble to put it together. 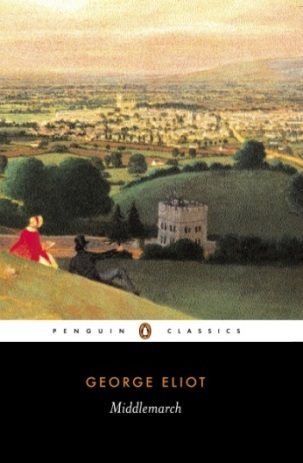 Now in my 70s, I’m a first-time reader of “Middlemarch.” I started with the Penguin Classics paperback edition and very much appreciated its footnotes, which explain references to historical events and arcane customs and terms in the text. But my eyes grew tired after a few pages of sorting out some of Eliot’s knottier, convoluted sentences, so I purchased the same edition in Kindle Fire format. Immediately I found the book more readable. Thanks to the larger typeface and back lighting. I was able to get through five or six chapters at a sitting, with easier comprehension and greater enjoyment.